Ben Pope, yesterday’s MOTM, in action against Worthing in the FA Trophy. 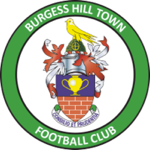 The Hillians succumbed to our third consecutive Bostik Premier League loss with a 3-2 defeat at Brightlingsea Regent. 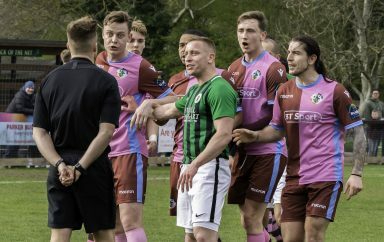 Simon Wormull was forced into a solitary change from the side which started against Corinthian-Casuals last Saturday, introducing Aaron Smith-Joseph to the starting XI. On a rather soggy afternoon in Essex, the hosts started brightly without testing Josh James in the Hillians goal. Regent continued to press and had a series of corners in the 30th minute but without any major goalmouth action. It was the Hillians who took the lead in 34th minute, as Tom Cadman stole the ball off Ricky Griggs before squaring to Ben Pope who stroked the ball underneath James Bradbrook. However, our lead only lasted 3 minutes, as Josh Gould finished past Josh James following an in-swinging free-kick. The half ended with both sides enjoying spells of possession, but with no further clear-cut chances. The Hillians started the second half at a great tempo, with Aaron Smith-Joseph coming within inches of regaining Hill’s lead, as his effort from an acute angle rolled across the line. It was the hosts who took the lead in the 57th minute, as Aaron Condon jinked his way through the Hillians defence before slotting his strike past the outstretched Josh James. It was that man Condon who doubled his sides’ advantage with 11 minutes left on the clock, as the winger cut inside once more and produced a similar strike which skipped past Josh James. 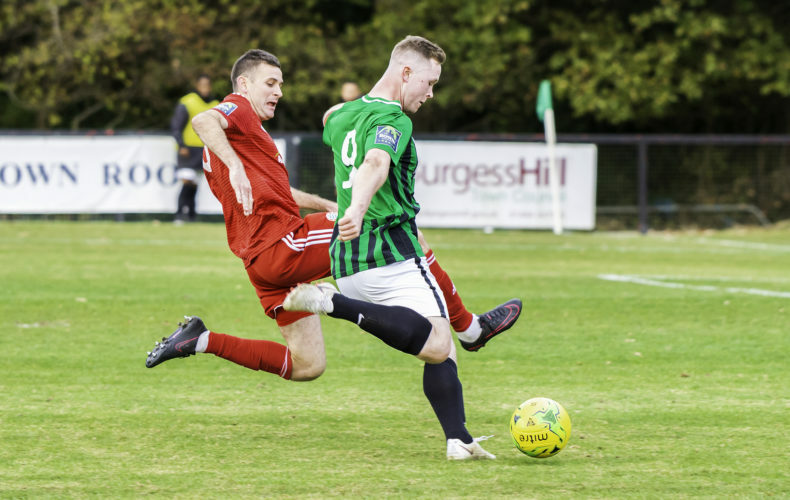 The Hillians threw the kitchen sink at the Essex outfit, and in the 90th minute got a second, as a long free-kick fell to Ben Pope who slotted home from 7 yards to make the final moments interesting. The hosts managed to hold out to claim all three Bostik Premier League points. Another disappointing afternoon for the Hillians, making it three defeats in our last three league outings. The Hillians MOTM was awarded to Ben Pope, who’s tireless work was rewarded with a deserved brace. 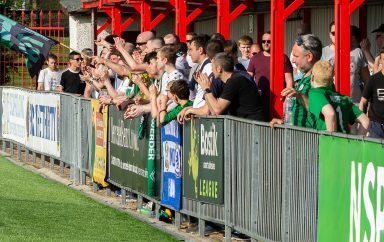 Thank you to you Hillians who made the 234 mile round trip to support the club this afternoon. Even though recent league performances haven’t been good enough, your support has continued to be incredible – please keep the faith! Next up, it’s Sussex Senior Cup action and a trip to Pagham.